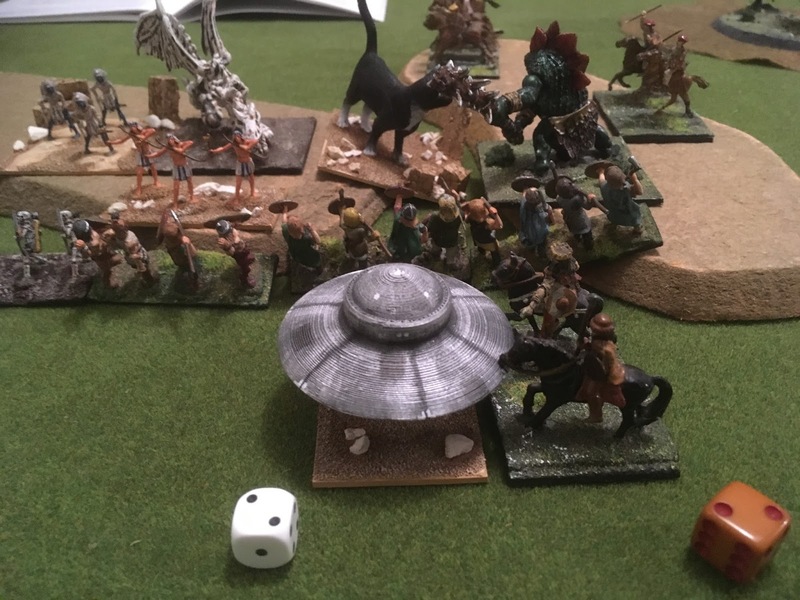 The omens were muddled, the messages unclear. 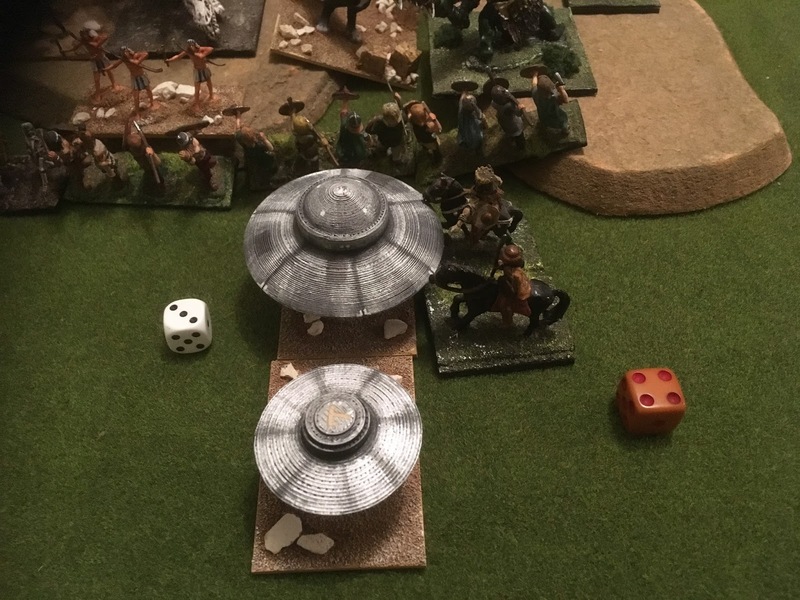 There before them stood a human enemy, but also those already dead, and above them mysterious machines that spun and flew like birds. 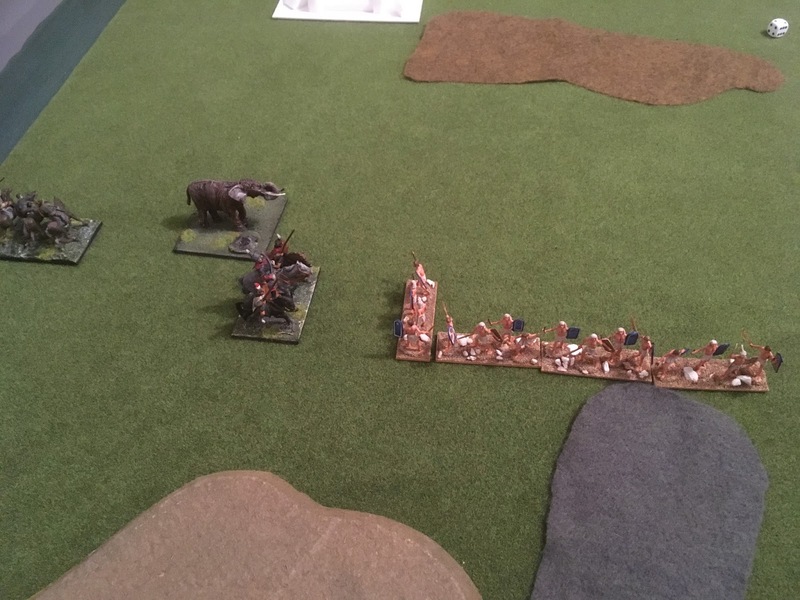 What devilish hell was this that the Gods had concocted and thrown at the victorious barbarian armies? This was our first full three command Big Battle HotT battle. 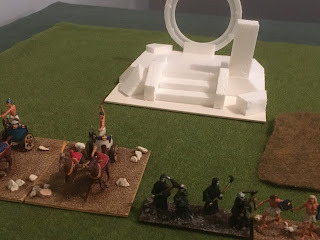 Andy commanded semi historical Egyptians, accompanied by wondrous flying machines and the skeletal remains of those already fead, perhaps transported through the mysterious star gate. The army included a hero, two magicians, and three behemoths. 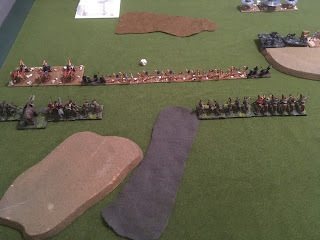 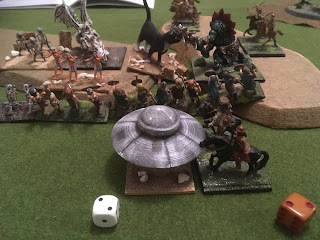 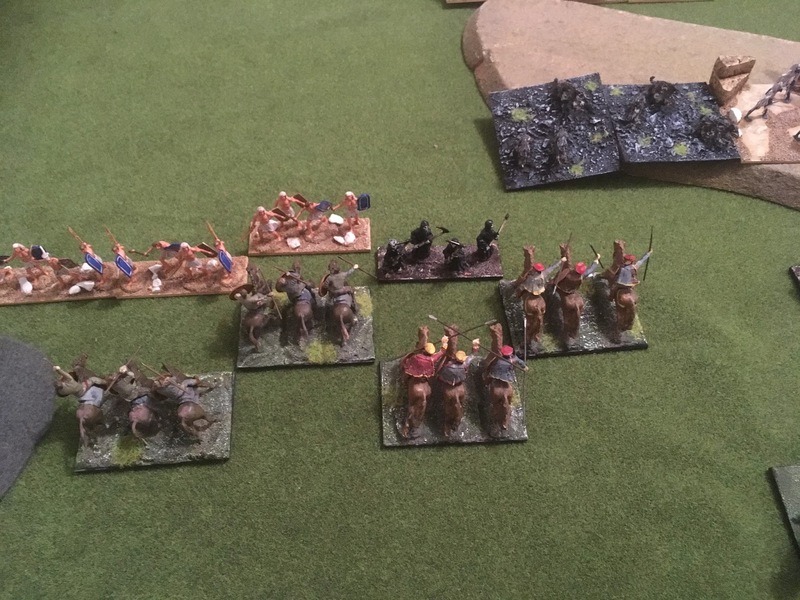 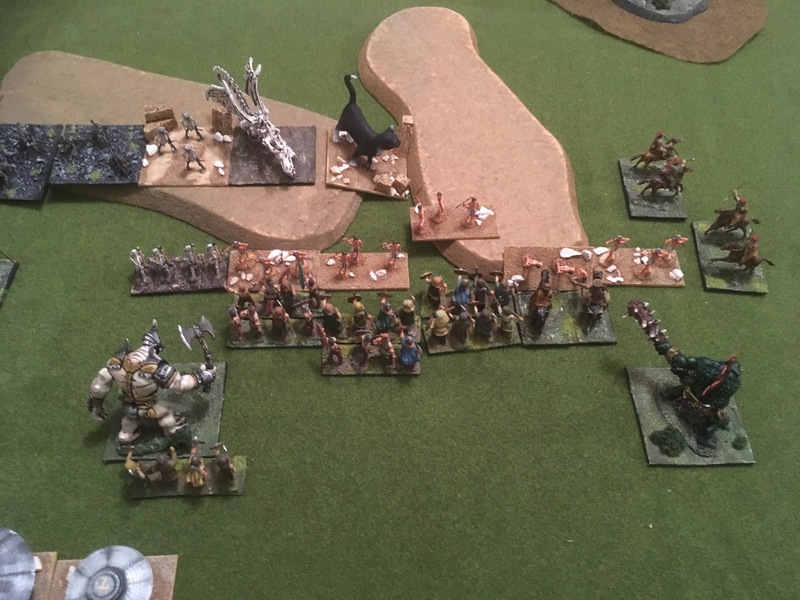 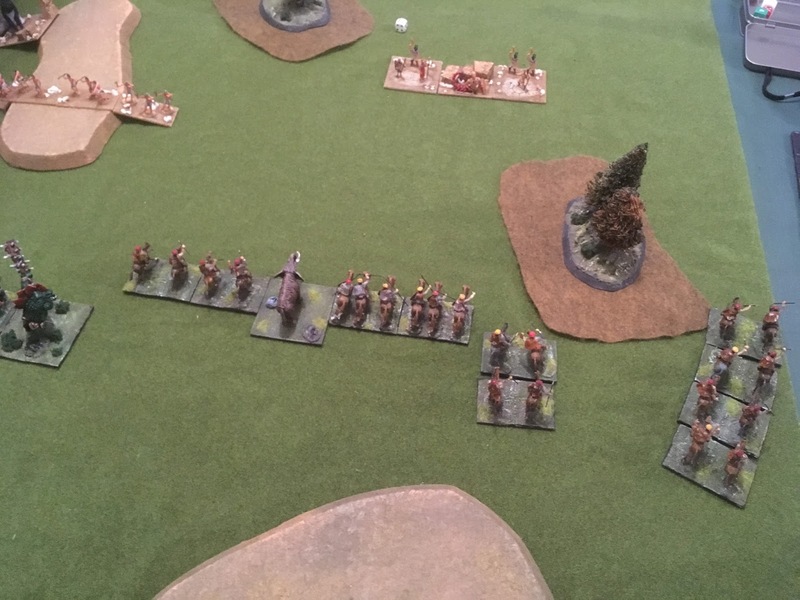 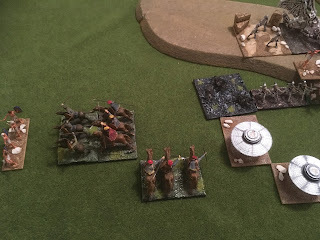 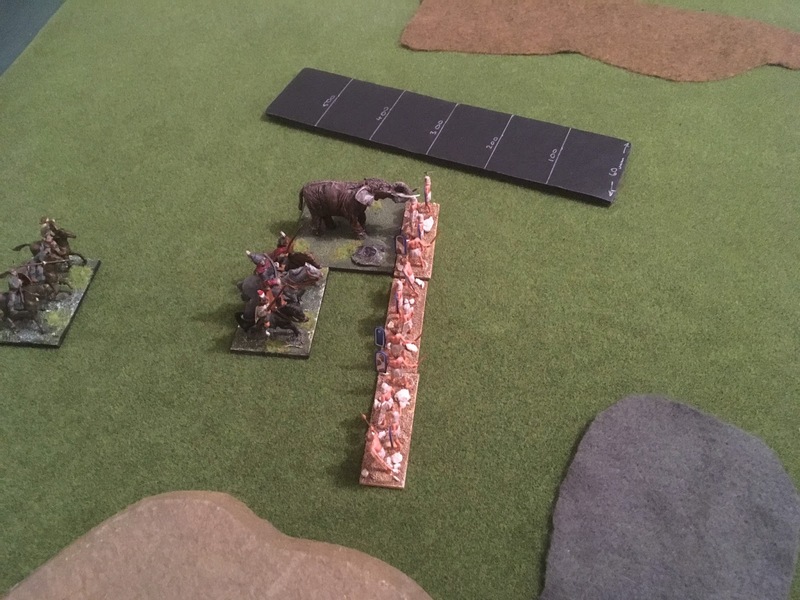 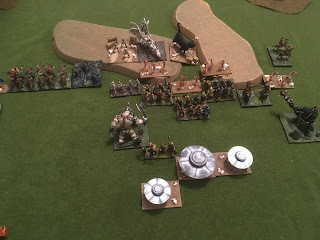 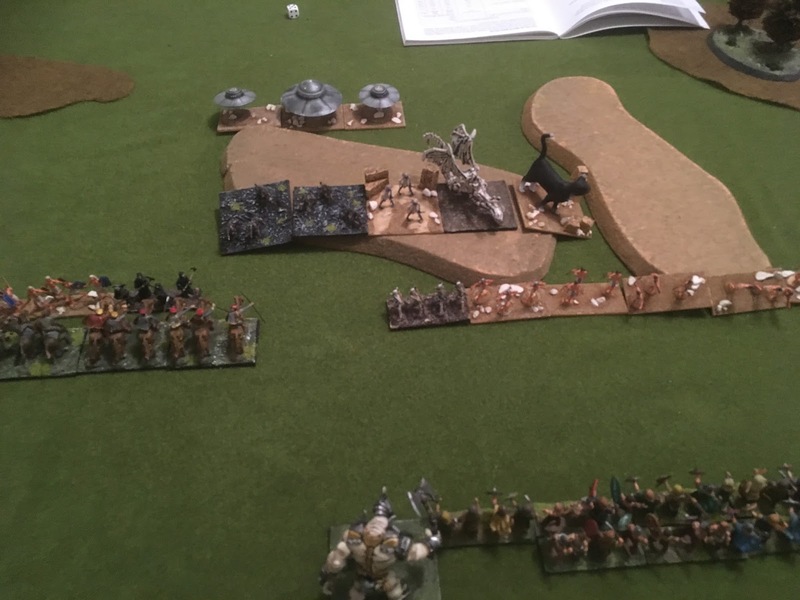 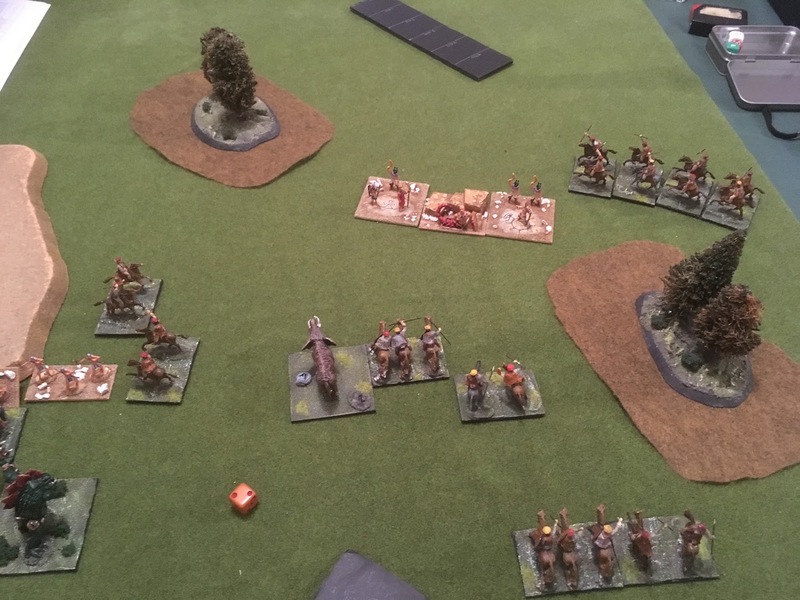 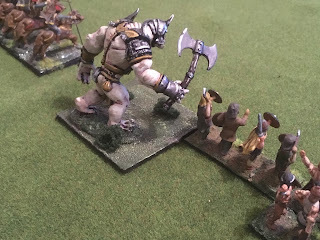 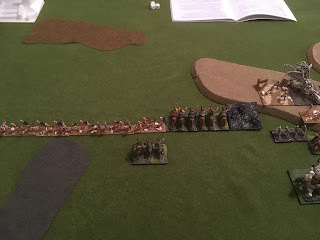 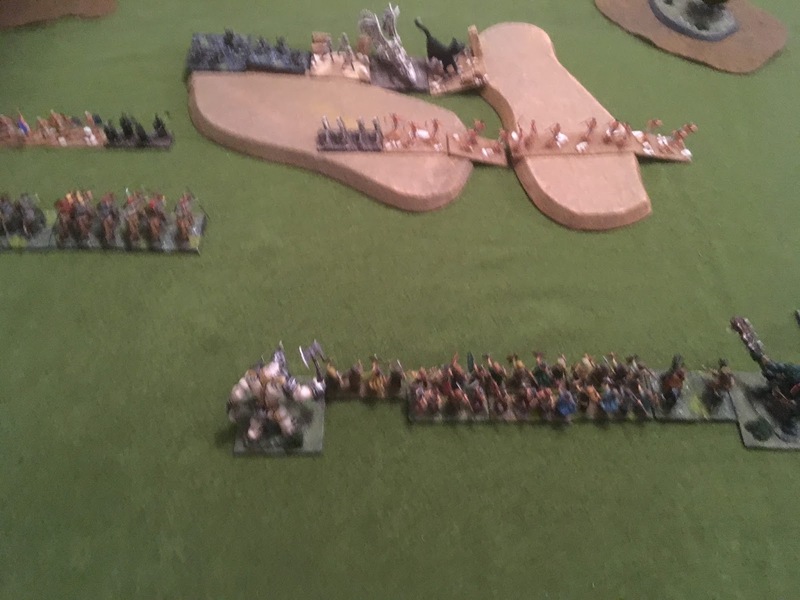 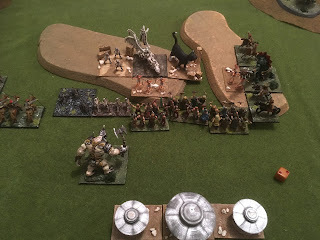 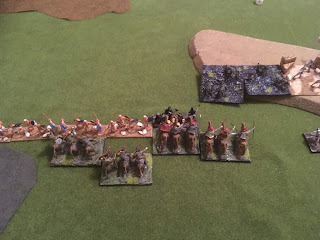 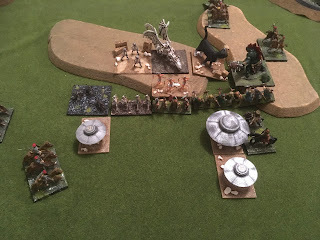 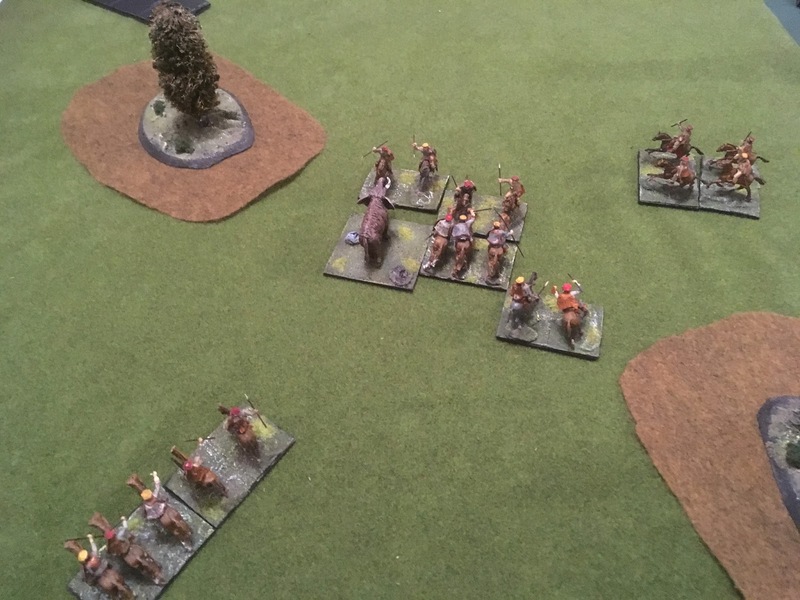 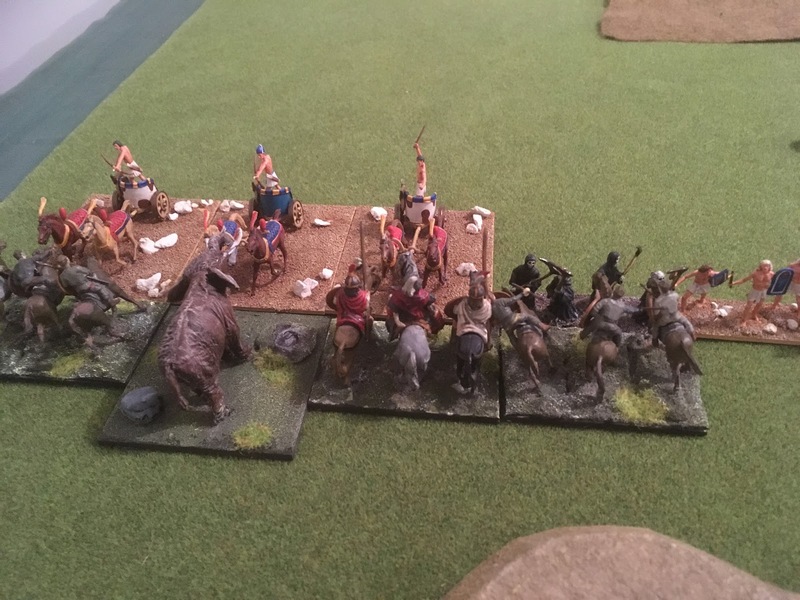 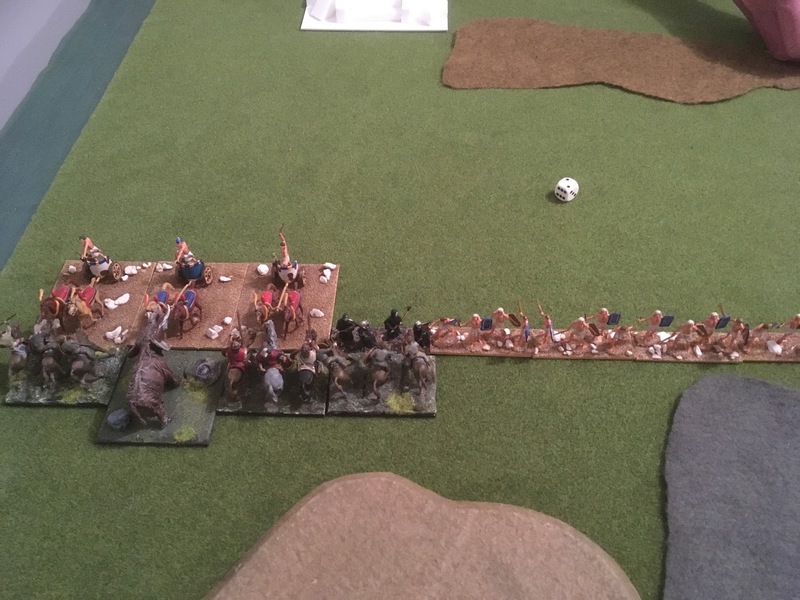 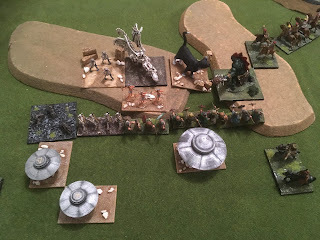 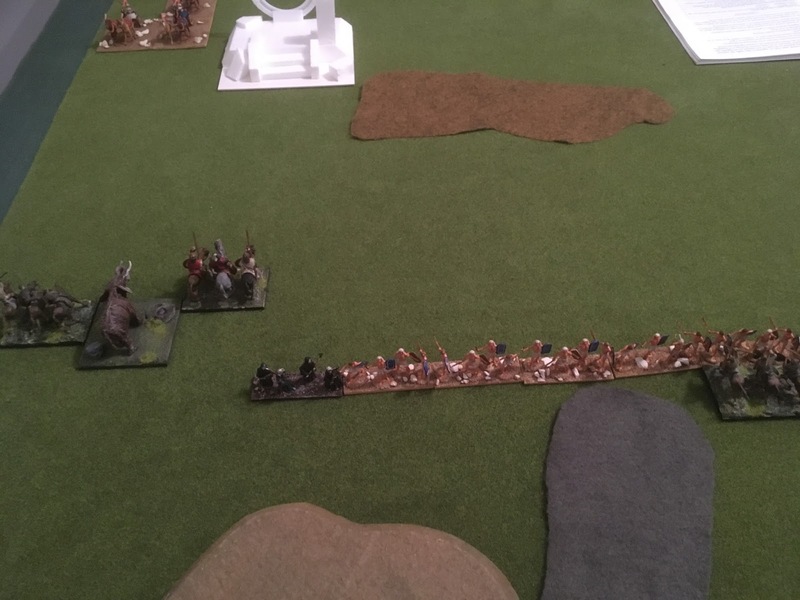 This was my first outing with the Barbarian/Hunnic hordes complete with 2 trolls and 2 mammoths (all behemoths), a hero and a mix of warband, riders and knights. 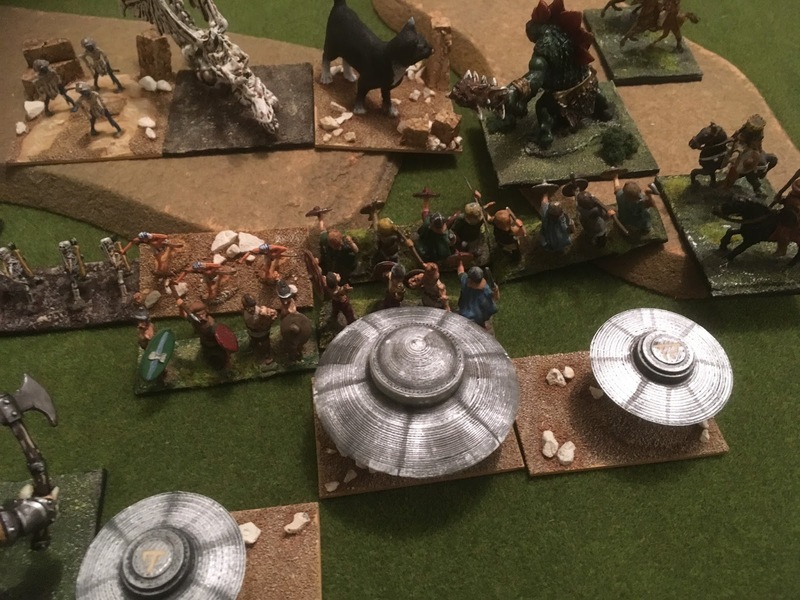 The troops were also hoping that they might be blessed with the support of their glorious Tree God. 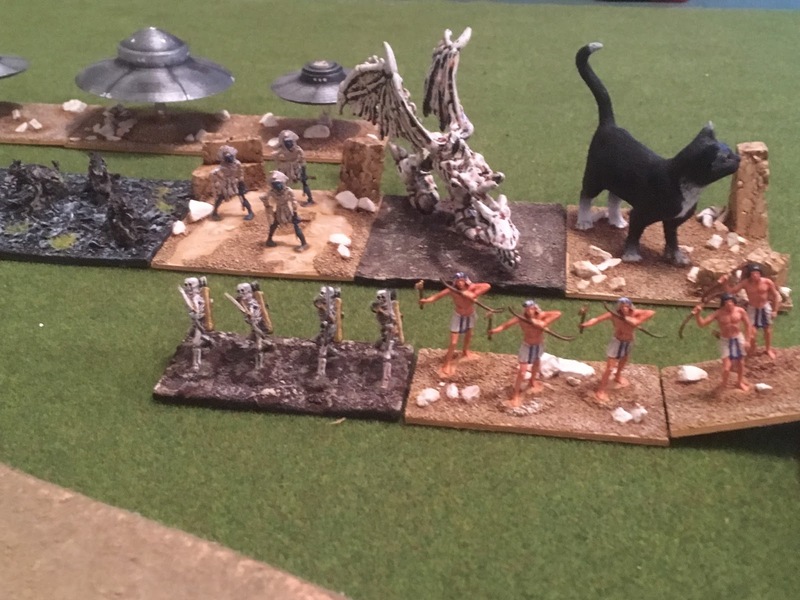 Archers in front, and the behemoths behind. 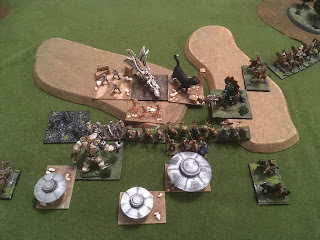 Andy's deployment here unfortunately meant that he was unable to use the power of the behemoths. 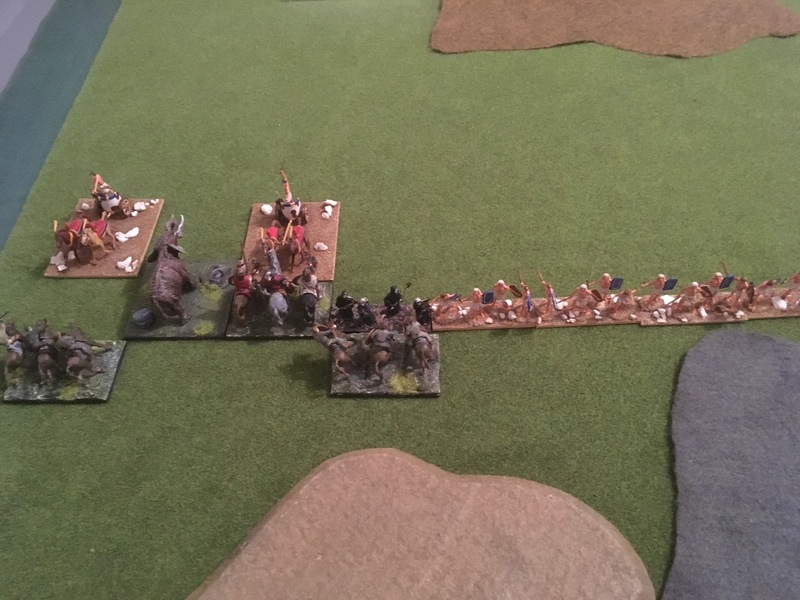 The Egyptian CnC (aerial hero) supported by two flyers had over flown the barbarian centre and began an attack on the rear of the warbands. 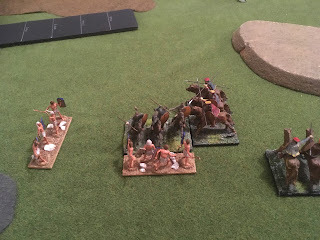 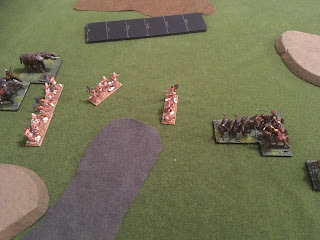 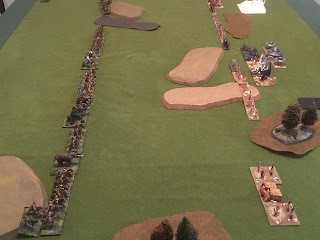 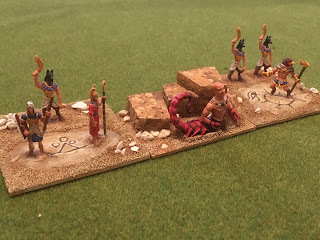 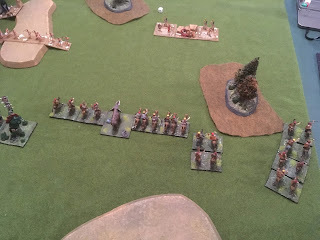 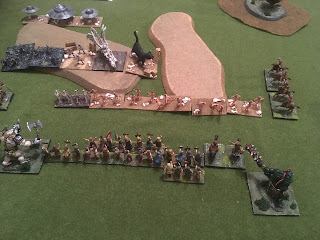 The last round of combat demoralised the Barbarian centre but at this point both sides had lost their CnC, AND the Egyptians has lost more elements than the barbarians. Victory had gone to the Barbarians, but only 'by a whisker'. And never a sign of the blessings of the Gods that they had been promised in the omens. 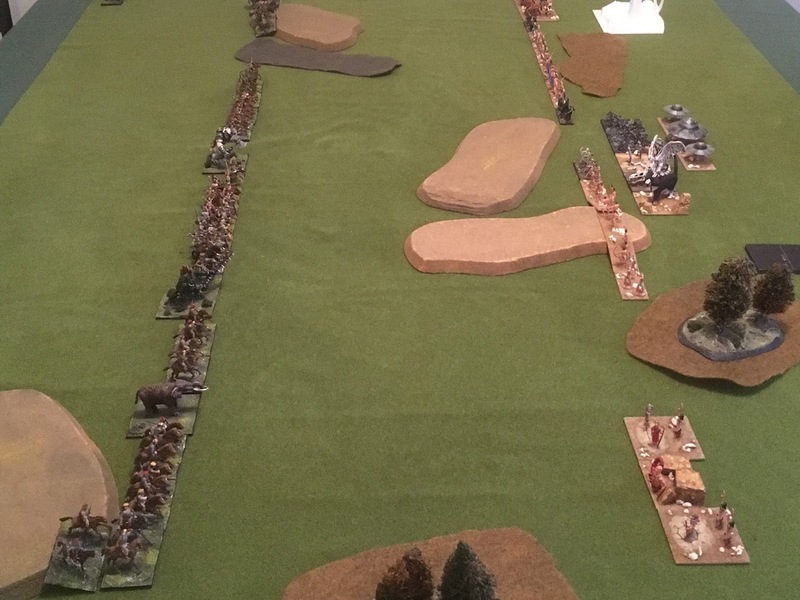 So that was our first Big Battle HotT, and what a game. 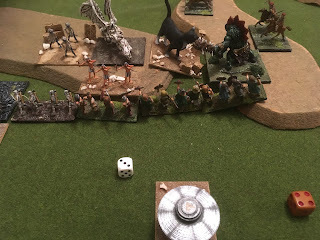 We both felt that this was a much more enjoyable game than the traditional 24 point HotT (even though we both enjoy those games too). The flavour and feel of the game were totally different. The command challenges were more interesting without being excessively demanding. And did I mention that there were beer, coffee and sausages rolls?